Summer is fast approaching and slowly but surely we are getting ready for feather light clothing, miniskirts and shorts. Getting rid of unwanted hair on the body need not be a tiresome and painful experience when using all-natural hair removal products. 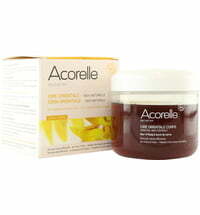 Treat your skin with a gentle scrub or body peeling to remove any dead skin cells that have accumulated on its surface. This way, hair removal products are able to better reach the hair follicles. 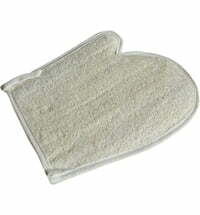 An exfoliating glove or brush can. can promote the removal of dead skin cells. Rinse any residues from the skin. Skin must be dry and free from any oily residues before the hair removal process begins. Natural wax products are produced without parabens, chemical preservatives and dyes, which means they are particularly gentle on the skin. The classic wax in a pot can be heated and applied to the skin in the direction in which the hair naturally grows. Place a cotton strip over the waxed area of the skin and quickly remove, pulling the strip in the opposite direction of hair growth. Classical wax stems from the Orient and is composed of sugar and citric acid. Cold wax strips are more practical as they need not be heated. 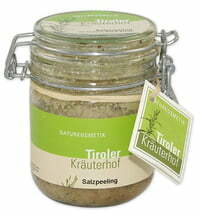 These are specially designed for removing hair from the face, underarms and bikini line, as well as the body. Simply warm up the individual strip in the palms of your hands. Place on the skin and smooth the strip over the area. Quickly remove the strip, pulling toward the opposite direction of hair growth. Hair removal wax is also available in roll-on or tube format for small areas of the skin such as eyebrows and upper lips. Once the hair is removed, moisturising and conditioning the skin is key. Moisturising lotions and oils are best suited to treat the areas of the skin that have been waxed. The moisturisers will soothe the skin, prevent irritations from occurring, leaving it feeling wonderfully soft and pampered. Do not apply and creams after exfoliating the skin because they clog the pores and hinder the hair growth process. Use a peeling regularly one week after waxing. 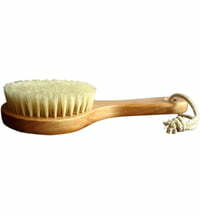 This will help avoid the natural shedding process of the skin from clogging the pores. If all else fails, ingrown hair treatments can be applied to the skin. To enjoy smoother skin for longer, hair growth inhibitors can be used. These products are available for the body and underarms. Hair growth inhibitors delay hair growth, condition the skin and reduce hair density. Note: The hair on a man's body differs structurally from that of a woman's. The hair roots are larger, much stronger and deep-seated. As a result, hair removal using the waxing method is more painful. It is recommended to shave instead. However, if you do opt for a waxing treatment, over time the skin will become accustomed to the treatment and the pain will diminish.